Whether you’re a first-time mom or have a houseful of kids, motherhood can be challenging, joyful, overwhelming, wondrous and stressful – sometimes all at once! That’s why moms need support to navigate through it. 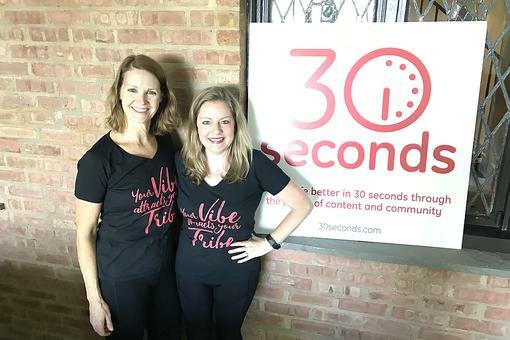 We’ve gathered some remarkable women who have a passion for helping moms, and we’re fortunate to call them 30Second Mom contributors as well! Jillian Darlington is a single mom to a son, and she’s an expert in the work-at-home lifestyle. Beth Bryan is a California-based mom of two. Jillian and Beth are co-founders of the MomCo App. The free, geo-location based app helps moms connect with other moms and with the products and services they need. Since MomCo is geo-location based, moms that live closest show up first. Moms can interact by messaging each other and through the forum section. Moms can share pictures, funny moments, ask questions, get the support, arrange playdates, keep current with local events and activities, be alerted of product recalls, enter giveaways, view awesome products they deem “mom must-haves” and save money through deals. They can also locate all the local business and service providers in their area that cater to women and children. What’s not to love?! Check out MomCo App here, and be sure to follow Jillian and Beth on Twitter. Read some of their great 30Second Mom tips! Marci Fair is an entrepreneur, charity founder, speaker, author and mother of four. Marci is the author of “ Tilt: 7 Solutions To Be A Guilt-Free Working Mom.” Marci says the book, which won the 30Second Mom Loves This Award, was written out of the difficult struggles and unexpected answers that she found on her life journey as a mom of four kids. The book contains over 100 practical, guilt-free parenting tips covering issues working moms face. With quotes from her own children and the wisdom of more than 80 working moms, Marci shows moms how to live imperfectly … on purpose! Stop by Marci’s website, MarciFair.com, and be sure to follow her on Twitter. 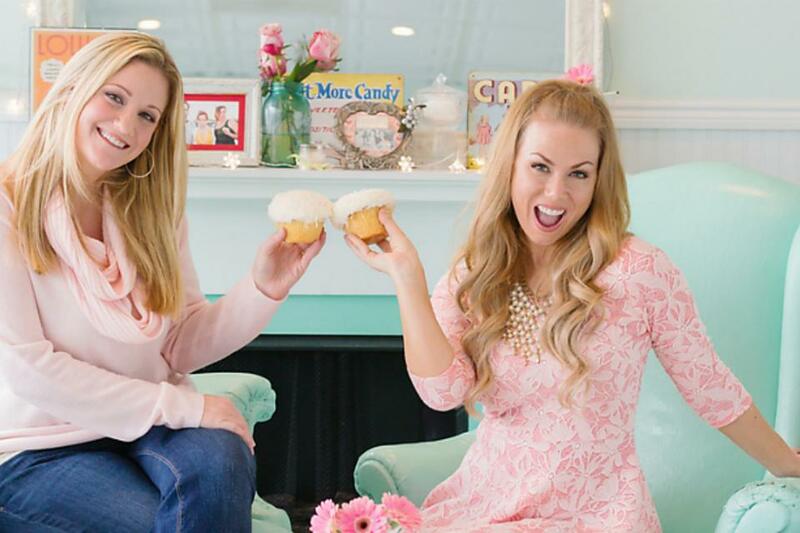 Here are some of Marci’s 30Second Mom tips! Eirene Heidelberger is a certified parent coach and the mother of three boys. Eirene is the President and CEO of GitMom, a full-service parent coaching firm that’s dedicated to helping moms “get it together.” Her system focuses on the mom, rather than the kids, which allows moms to give their children the parenting they need so they have time to do the activities they enjoy. Eirene assists moms with all types of parenting issues – sleep training, positive behavior, scheduling, etc. – all with the ultimate goal of returning mom back to her formal “pre-child” self. She teaches moms to parent more efficiently so they have more “me” time. We love it! Check out Eirene’s website, GITMom.com, and follow her on Twitter. Read some of Eirene’s 30Second Mom tips! What is Self-talk? A Simple Survival Strategy for Moms! Have Trouble Completing Big Projects? 7 Tips to Help! 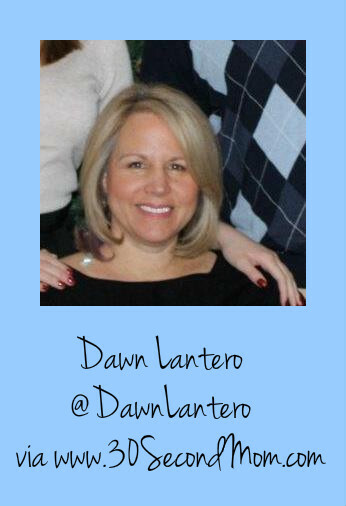 Dawn Lantero is a parenting expert, author, preschool teacher, writer and mother of four. Dawn combined her experience as a classroom teacher with the knowledge of raising four kids and compiled it into the book, “ S.P.L.A.S.H. Parenting Principles.” The handbook offers parents practical advice on raising happy, well-adjusted kids. Her S.P.L.A.S.H. principles – Structure, Patience, Love, Autonomy, Spirituality and Humor – allow parents to create a positive family environment. So awesome! Visit Dawn’s website, SplashParenting.com, and follow her on Twitter. Check out some of her 30Second Mom tips! DIY Dresser: Transform Secondhand Furniture with Paint! Give Your Family the Gift of a Technology-free Turkey Day! Elaine McGhee is a working mom support coach and mom of two. Elaine is the founder of ThriveMomma, a website that offers virtual and in-person emotional and practical guidance to help moms with the back-to-work transition. She strives to provide the ThriveMomma community with the best and most up-to-date information for the post-maternity leave period. Elaine says there’s a lot to learn about maternity leave rights, navigating the workplace as a parent and learning what the “right” decisions are for your family. With resources like the InstantThrive Guidebook, which helps moms prepare for eight key areas of their life, and VirtualThrive, where you can connect and talk one-on-one, Elaine is the working mom’s No. 1 fan! Learn more by visiting Elaine’s website, ThriveMomma.com, and follow her on Twitter. Here are a few of her 30Second Mom tips! #30Seconds Live: The Power of the Tribe With Jan Mostrom! Mom Resources From Some of the Remarkable Women in the 30SecondMom Tribe!